The Armed Forces of the Republic of Armenia fully control the situation in Nakhijevan direction,” the Chief of the General Staff of the Armenian Armed Forces stated on Monday. “The situation is under control. Regular activities are underway with no reasons to be concerned,” Davtyan said when asked to comment on recent development on the Armenian border with Nakhijevan. 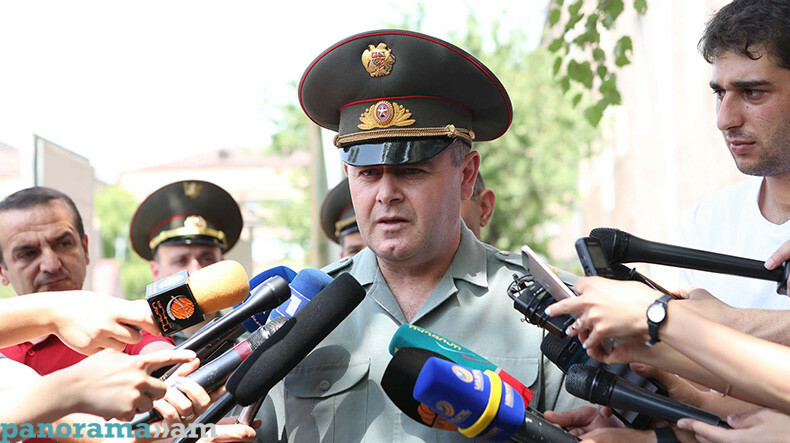 Davtyan attributed the large-scale military exercises by Azerbaijan, to regular tactical actions. “We closely follow the exercises and are ready for any development of the situation. We are set to hold our own drills according to the military plan. There is no reason for concern,” added the Chief of the General Staff. In response to reporters’ questions about the possibility of a war, Artak Davtyan said: “There is no immediate threat of war, yet we should always be ready for developments as the threat of war has always existed with the Armed Forces regularly voicing about. We proceed from the fact that a war may start at any time,” added he. Davtyan, however, assured that the actions of the Armenian Armed Forces are aimed at preventing the resumption of the war.